Hi Friends. 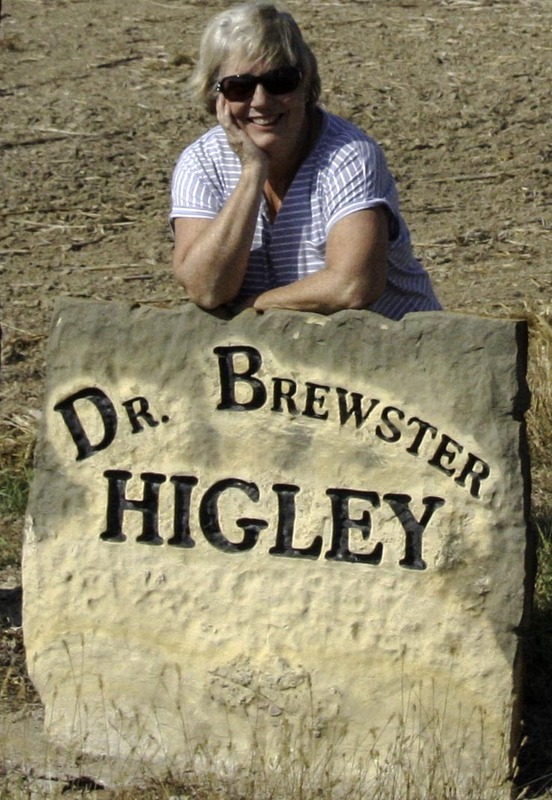 I've long known that one of my family relatives was Dr. Brewster Higley of "Home On The Range" fame. My Grandpa's Mom was a Higely, and for those of you who would be interested knowing, her name was Pearthenia Eleanor Higley. She was the daughter of Clark Higley and Amanda Thompson Baker (Higley). Clark Higley and his dad are historical figures in their own right, but I'll get to that in another family heritage post. 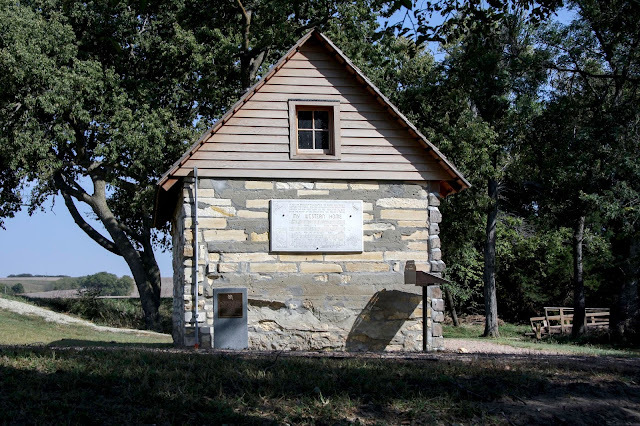 Here's the cabin Dr. Brewster Higley built, on the very land that inspired the lyrics to his song. Dr. Higley was a traveling doctor. 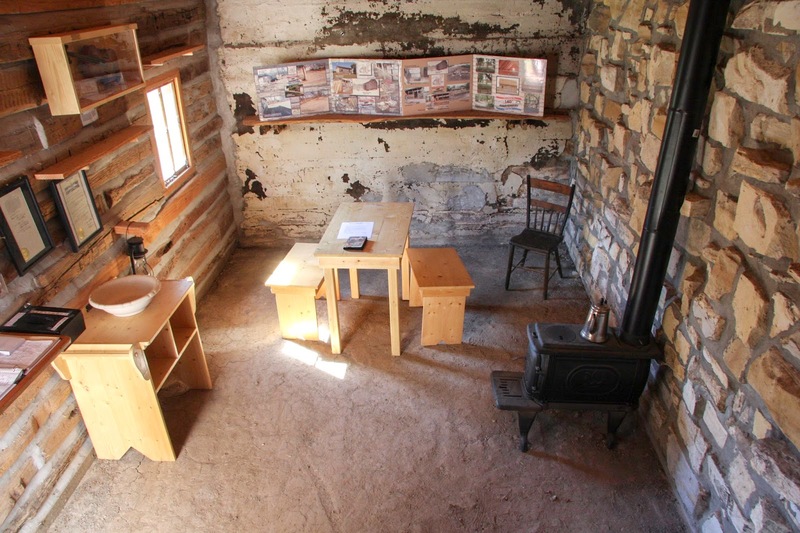 He lived alone after losing one wife in Indiana, and suffering from a second unsuccessful marriage. Finally, finding peace on the prairie land of Kansas, he settled in as a circuit doc/philosopher/poet. 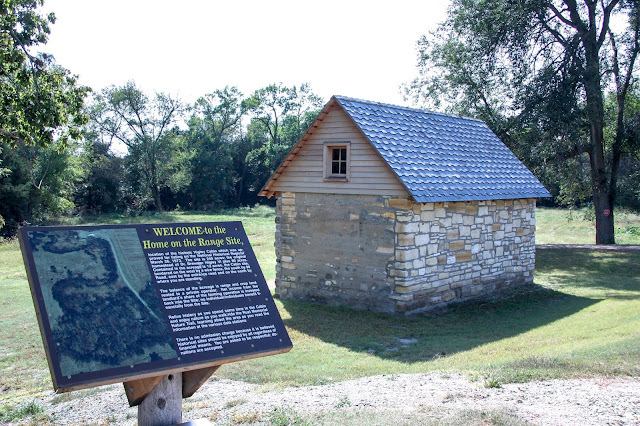 My sister Mary and I drove miles out of our way to visit this historical site, and we were glad we did. 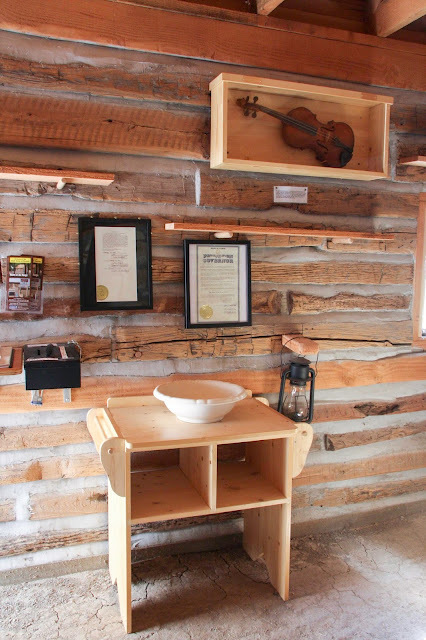 The cabin was recently restored, and looks great. 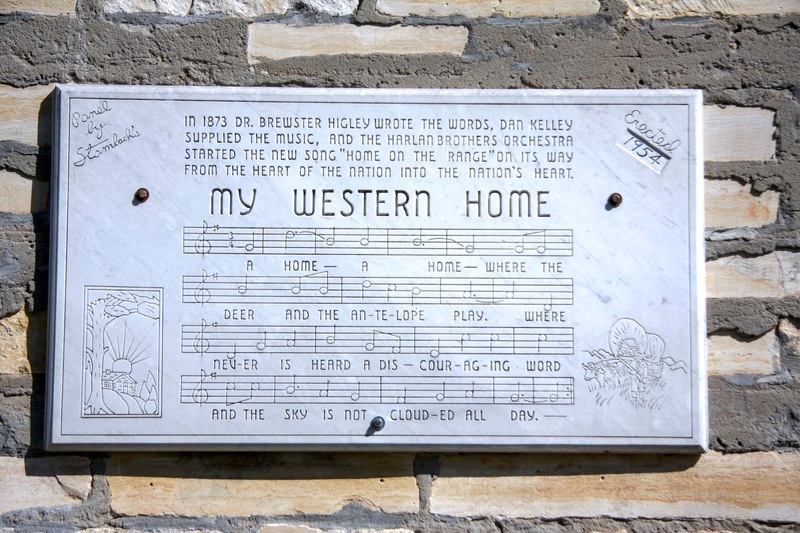 The original title for "Home On The Range" was "My Western Home". 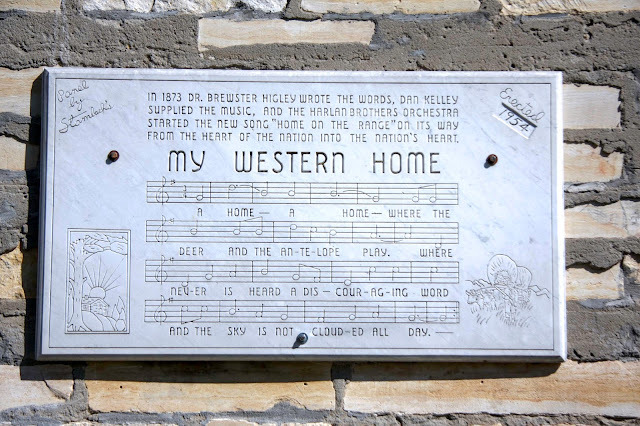 The song was picked up and sung across the prairie land, eventually landing up outside Franklin D. Roosevelt's home the night he was voted in as the next President of the United States. Roosevelt heard the song and fell in love with it. It was one of his favorite songs, and may have been played at his inaugural event. The radio picked it up and you could hear it everywhere in the land. Only, no one knew who wrote it . . . . until a lawyer was dispatched to learn the origins of the song. He was led to Dr. Brewster Higley as the author. Today, "Home On The Range" is the state song of Kansas, and it is still sung as a part of our national heritage. So, I hope you enjoyed this little bit of southern cottage girl's family history, and tour. I had fun sharing it with you. Have a terrific day, Friends. love ya!